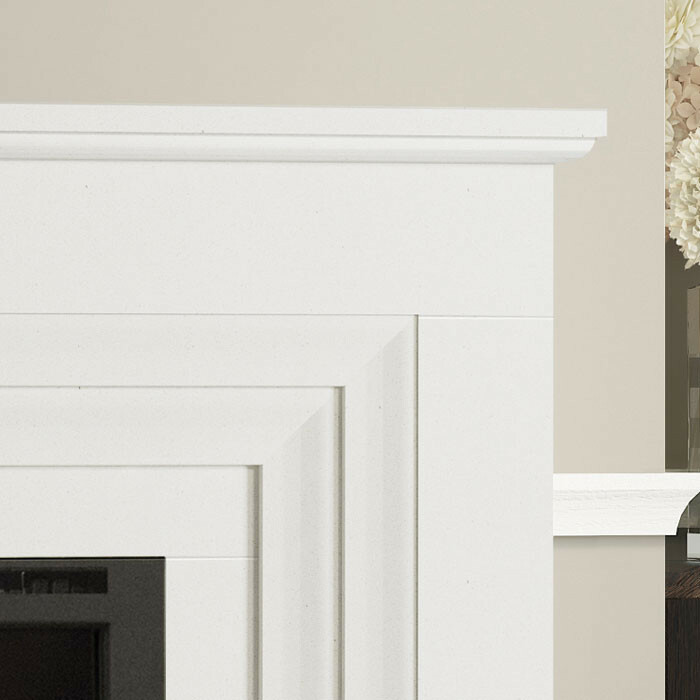 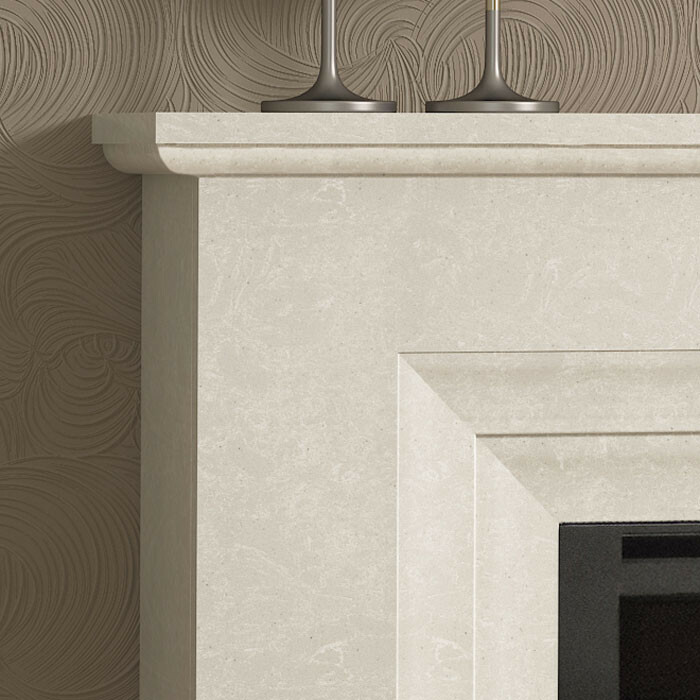 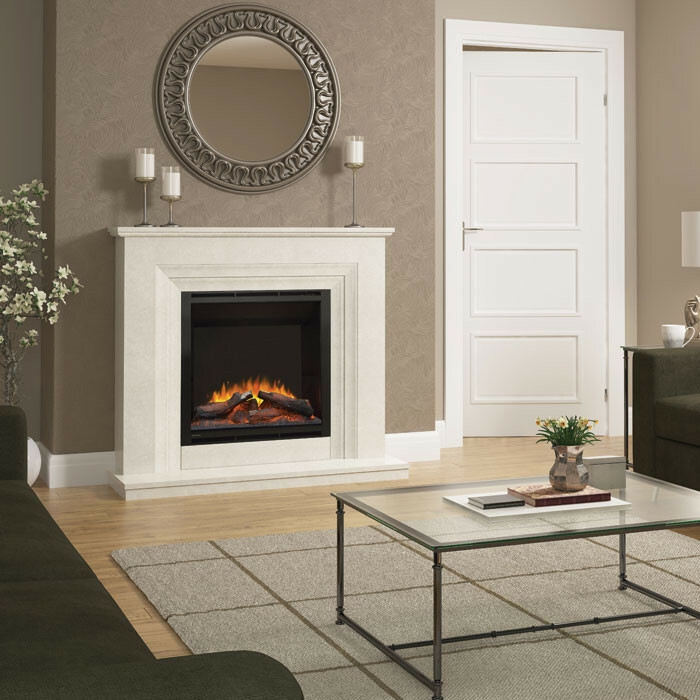 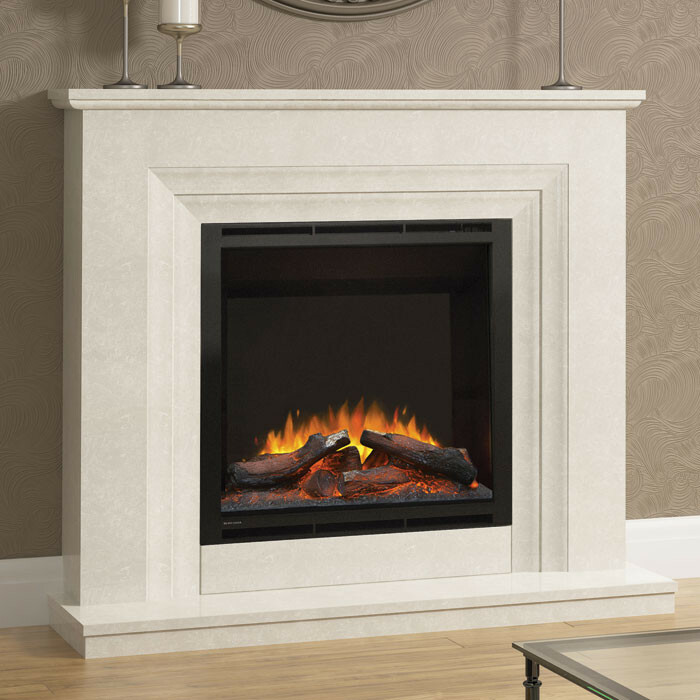 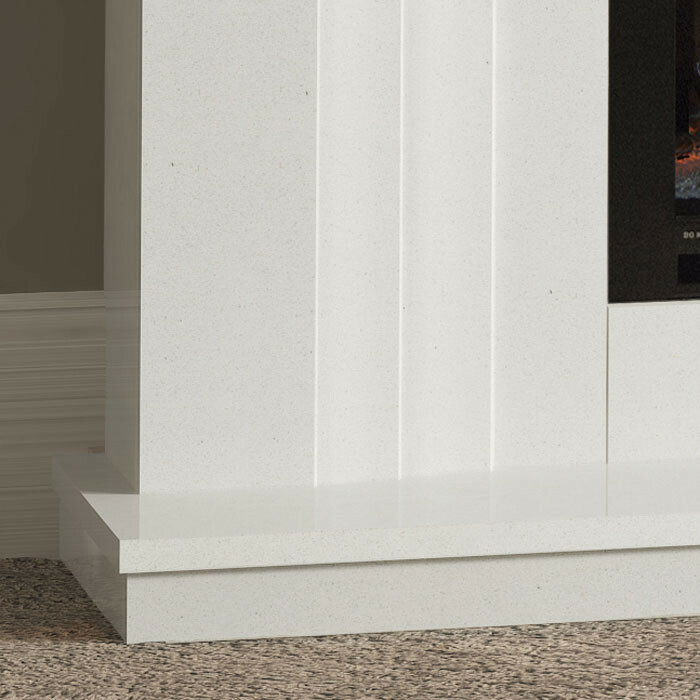 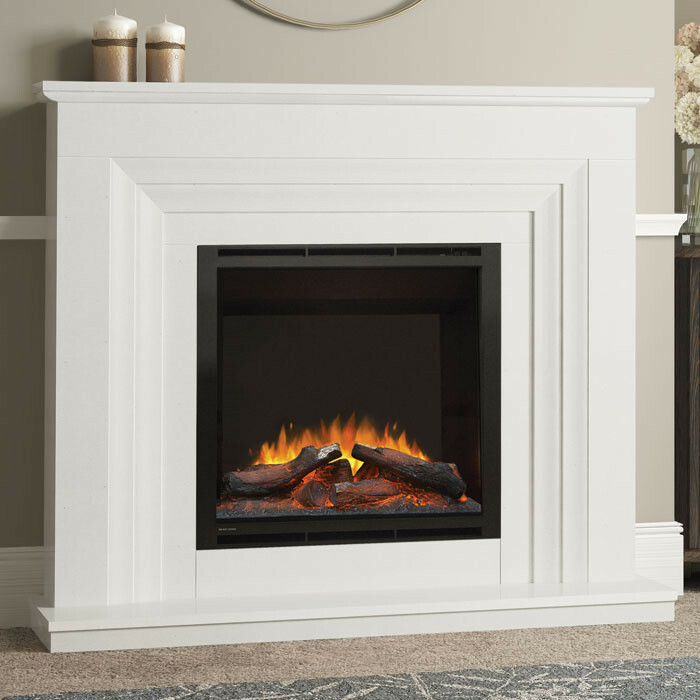 The Elgin & Hall Vitalia electric fireplace suite comes as an all in one package including a manila or white marble surround in either 48" or 52" wide, a matching marble hearth and a 2kW integrated electric fire which incorporates the latest LED technology to provide the most realistic flame visuals. 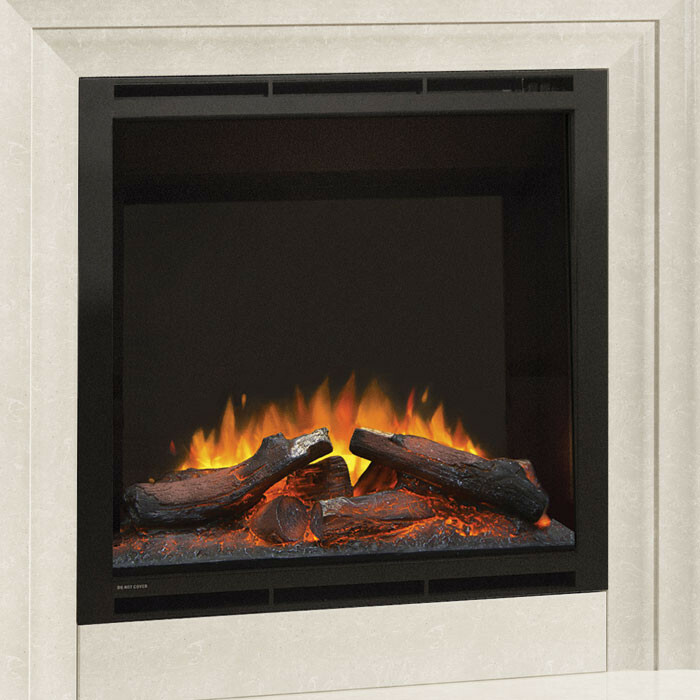 With the ability to be fitted against a flat wall with no recess in the wall, the Vitalia electric suite is incredibly easy to install with a simple power lead into a 13 amp socket. 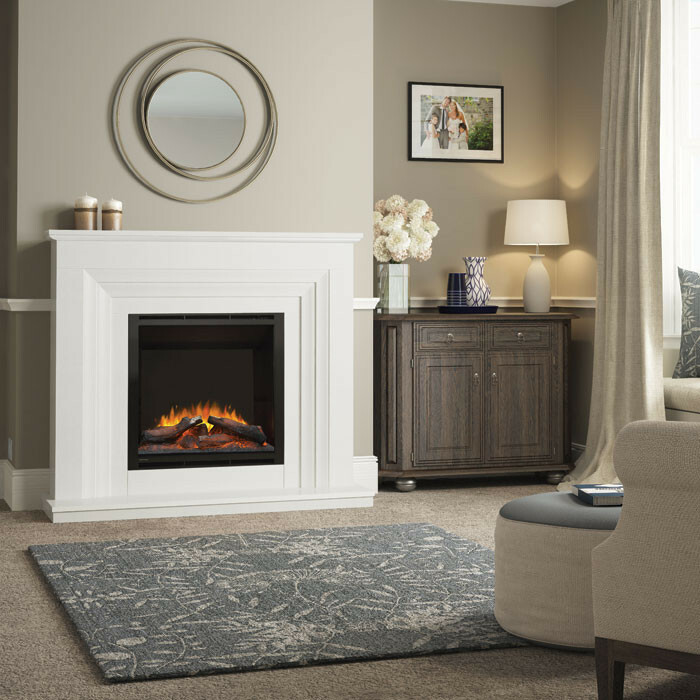 With an uncompromising presence, the widescreen glass-fronted fire is sublime in every way; the realistic flames fill the space with satisfying poise to reach every edge.